Even though some people will say that Wellington’s form has dropped a bit in the last two weeks, they have still gone ten games unbeaten, so even if they have drawn three of their last five games, they haven’t gone down without a fight and in my opinion they played very well in all of those draws. In their one-all draw against Melbourne Victory in which they were away from home, David Williams scored a stunning goal only to be equalised by Ola Toivonen in the 77th minute. In their next draw against Adelaide United, they may not have played the best, with Adelaide having thirty shots to Wellington’s four, but it was a strong defensive performance, especially considering Mandi’s red card in the 68th minute. Sydney will be looking to put a stop to Wellington’s unbeaten streak, whereas Wellington will be looking for a game like last time they met, which was 3-1 to Wellington. 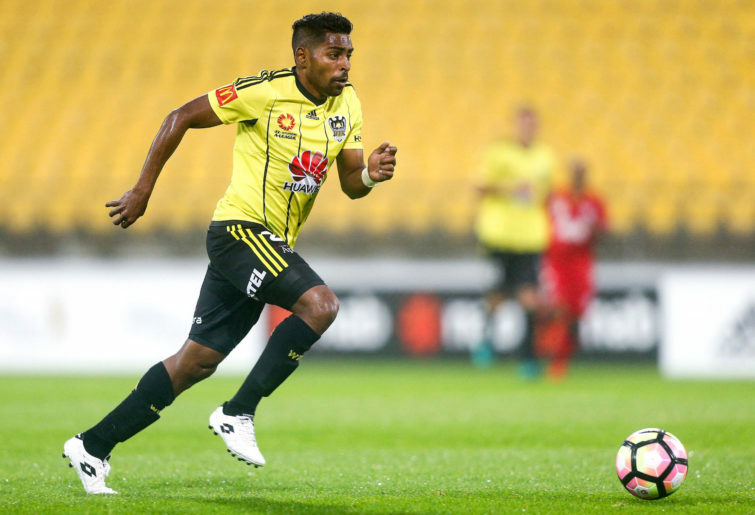 Wellington has the home advantage, so they will definitely push for the win, with David Williams and Roy Krishna looking to add to their tallies. I’m interested to see how Steve Corica approaches this game, as a win would see them overtake Melbourne Victory, but against a team as strong as Wellington it will be no easy feat. Unlike last time they played, Wellington will not be going in as obvious underdogs, and in my opinion if I had to name any team as underdogs it would actually be Sydney, with the painful result last time out still freshly in their minds. I can’t really see Wellington Pheonix changing their lineup. Even though they didn’t get the win against Melbourne Victory, they played excellently and the only reason I can see Mark Rudan making a change is because of fitness reasons, as they only have a four-day difference between games. 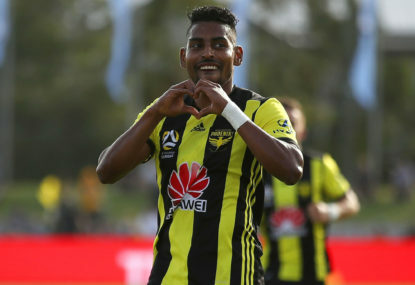 Roy Krishna had a great game, scoring two goals and is now level with Adam Le Fondre in terms of goals so far in the A-League this season, so he will be really looking forward to this game. Wellington’s back three of Tom Doyle, Andrew Durante and Steven Taylor will look to continue to shine, having only let in twenty goals so far in the A-League this season. Steve Corica has said that it’s all about rotation in January, and it seems like he will be forced to make a few different changes because of fitness reasons. While Rhyan Grant has been out with the Socceroos in the UAE, Corica has been struggling to find a right-back. Paulo Retre’s poor form saw Jacob Tratt take up the spot against Adelaide, and Tratt had a stunning match, scoring a goal and collecting the man of the match award. When all looked perfect for Jacob Tratt, his groin acted up in the Newcastle game, and he was forced to come off in the seventh minute. With both Retre and Tratt set to miss the game, who will replace him? Aaron Calver had a decent game, but it was just a bit too clear that he was a centre-back playing as a right-back, and he could have trouble dealing with Liberato Cacace’s pace. Milos Ninkovic looks set to return to the squad, after suffering from a cold (most likely from the sleepless nights thanks to his new-born baby). I think Ninkovic will come back into the starting line-up, and if Retre is ready will come in at right-back. Otherwise, Aaron Calver will move to right back and Ben Warland will take a place along with Alex Wilkinson. Another option that Corica could consider is having Warland on the bench, having Calver and Wilkinson at centre-back and having Briliante at right-back, which will mean a midfield partnership of Brandon O’Neill and Anthony Caceres. I think this will be a close game, mainly won out of midfield battles. I think that this game will be a draw, as both teams will most likely be well oiled and prepared and will not be looking to give away any silly goals, especially Sydney after what happened last time when they gave the Wellington forwards too much space.